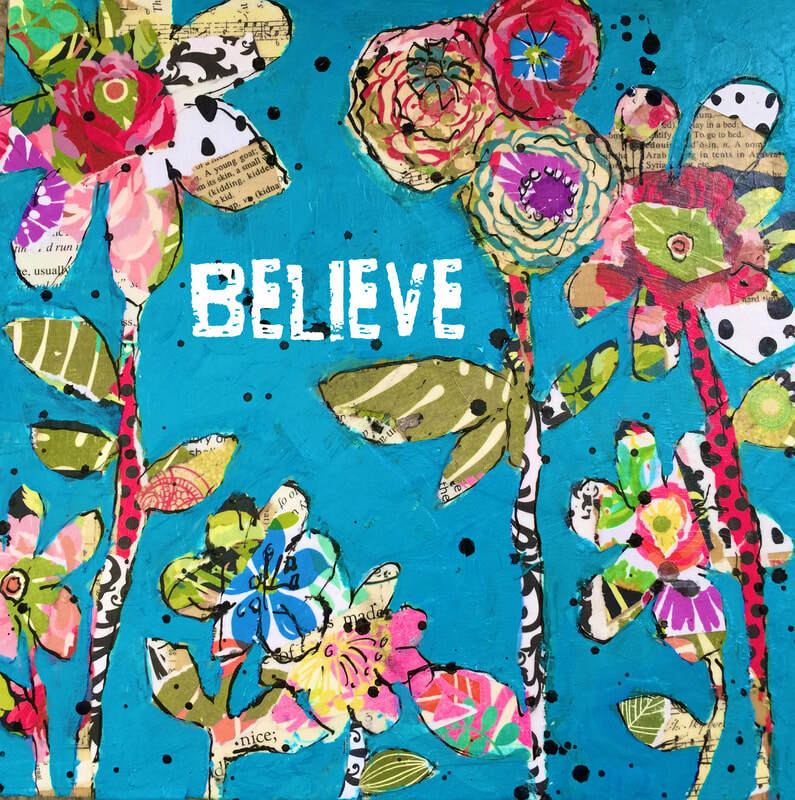 March 24 & April 7, 2018 @ 10AM-3PM "Intuitive Floral Collage"
Be brave and break out of the ‘norm’ collage techniques. Use your imagination to absorb the secrets of ‘10-second per paper’ intuitive collage. The nature of collage is spontaneous and collages are all unique depending on the color pallet, paper patterns and paint colors you choose in class. You will start with a 12” x 12” birch substrate to create a floral-themed, one-of-a-kind masterpiece. We will be learning how-to use high-quality Golden Acrylic Paints, Fluid Inks and Mediums in class. Last you will discover how-to use a user-friendly phone app to add phrases.